As part of a new company initiative, IT Solutions plans to donate company time, funds, and voluntary efforts to local charities and non-profit organizations each year. The neighborhood revitalization project which IT Solutions participated in with HFHMC is located in the Upper Dublin District nestled in the North Hills area. Three years ago, HFHMC dedicated its first ADA (Americans with Disabilities Act) home on Linden Avenue in Upper Dublin. While there, HFHMC staff and board members learned that there were several other parcels of land available for construction on the same street. 3105 Summit is the 5th home to be completed of that 7-home project. The house will eventually mark the completion of Habitat’s 51st home in Montgomery County. 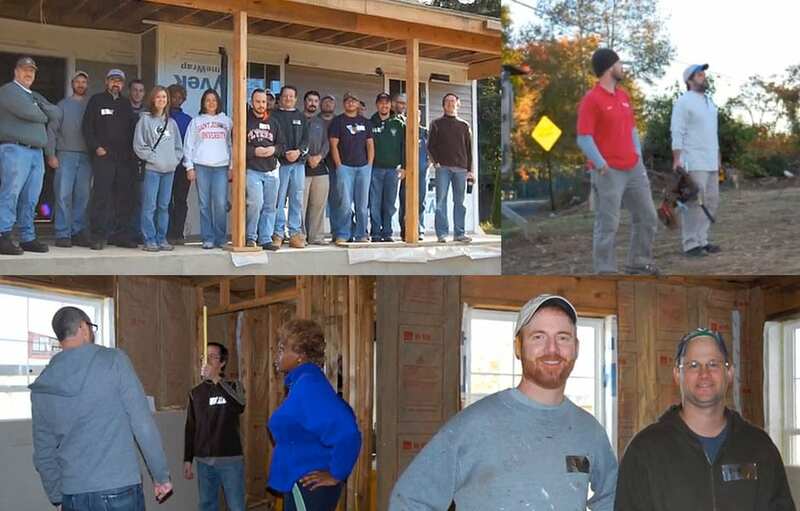 IT Solutions recently took part in its first annual volunteer program with Habitat for Humanity of Montgomery County (HFHMC), helping to build a new home and supporting its mission to eliminate poverty housing. In partnership with caring individuals and organizations, Habitat constructs simple, affordable homes and empowers hardworking, low-income families to become homeowners by providing no-interest mortgages. Habitat families are given the opportunity to build equity, gain stability, and enhance our community’s quality of life.